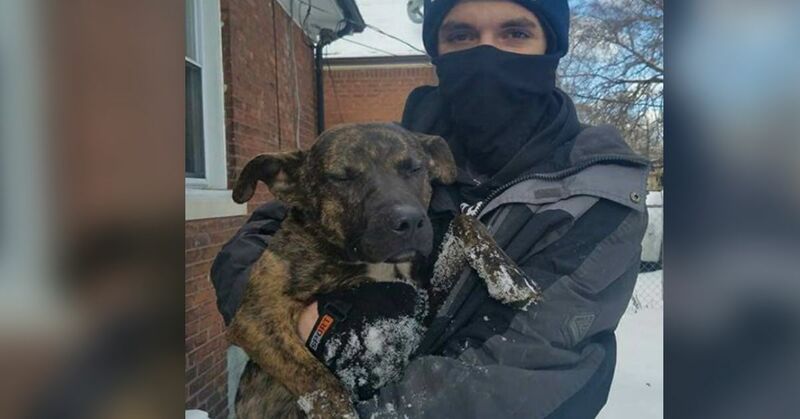 A neighbor noticed a dog had been chained outside of her house overnight during a blizzard. The ground was so cold that the dog was violently shivering and holding her paws up in the air. 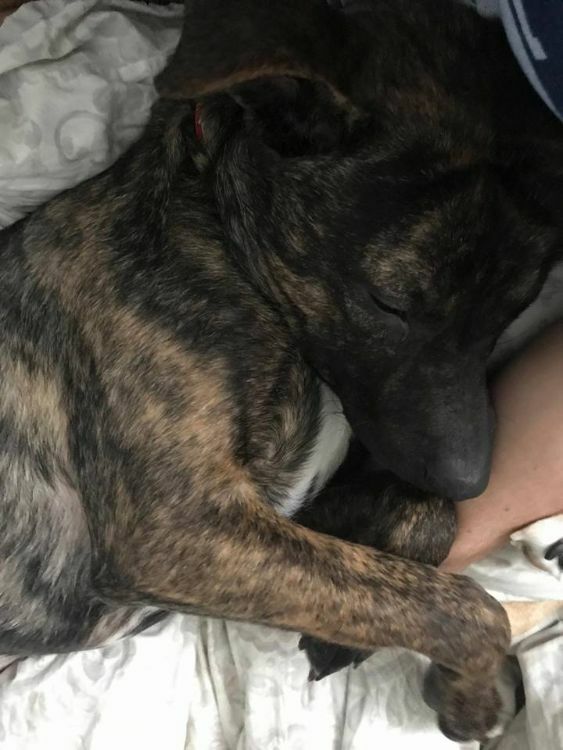 Fearing for the pooch's life, the neighbor immediately contacted the Detroit Pit Crew Dog Rescue, and their rescuers sprang into action. Despite a law passed in February 2018 that makes it illegal for dog owners to tie their canines up outside for more than three hours, this dog's owners didn't care that they broke the law. 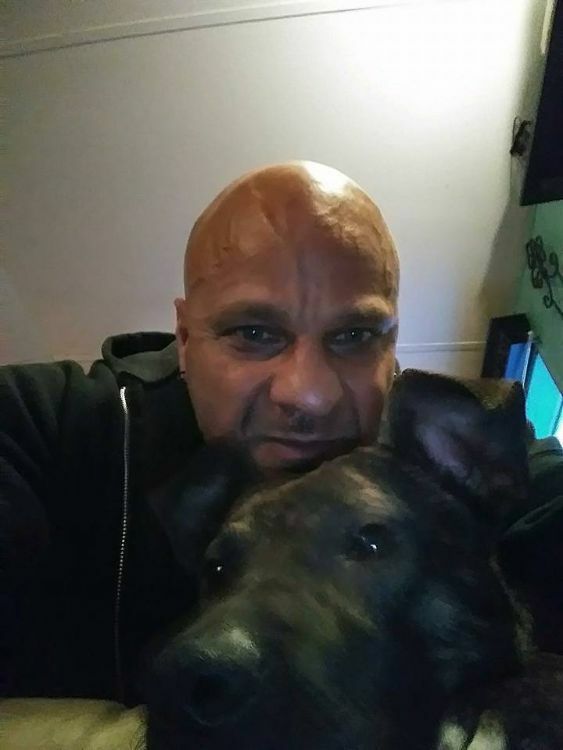 The Detroit Pit Crew Dog rescuers went to the family to ask them to surrender the dog to the group, and the family's response horrified them. The dog was taken to a veterinarian to get treatment for her frostbitten paws and toes. On the way there, the rescuers decided to name the dog "Blizzard" for the conditions she survived after being cruelly left out in the cold. Blizzard was placed with a foster who had other dogs in the home. 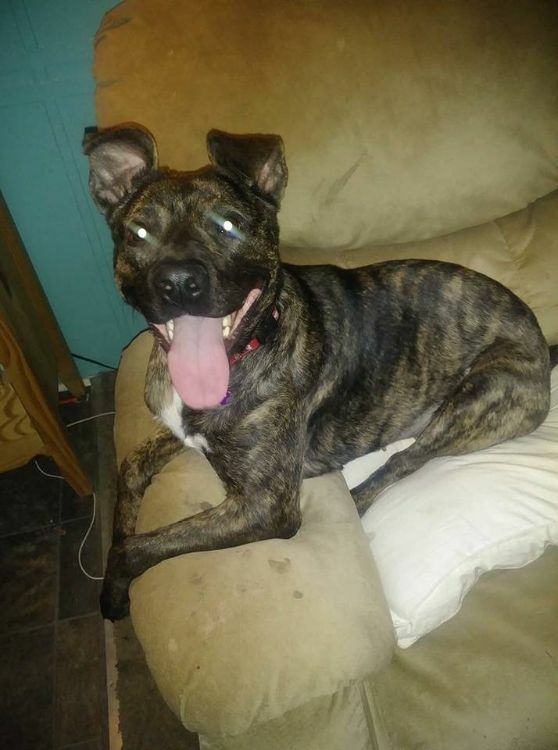 This sweet dog's lovable personality shone through right away as she reveled in having a loving home, regular meals and a dog sibling to play with. 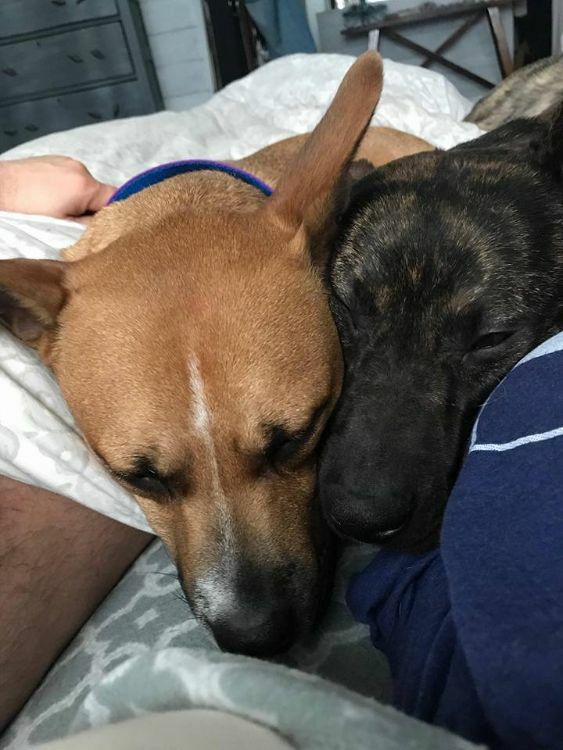 Blizzard bonded with the other dogs in the house and could often be found snuggling and napping with them. 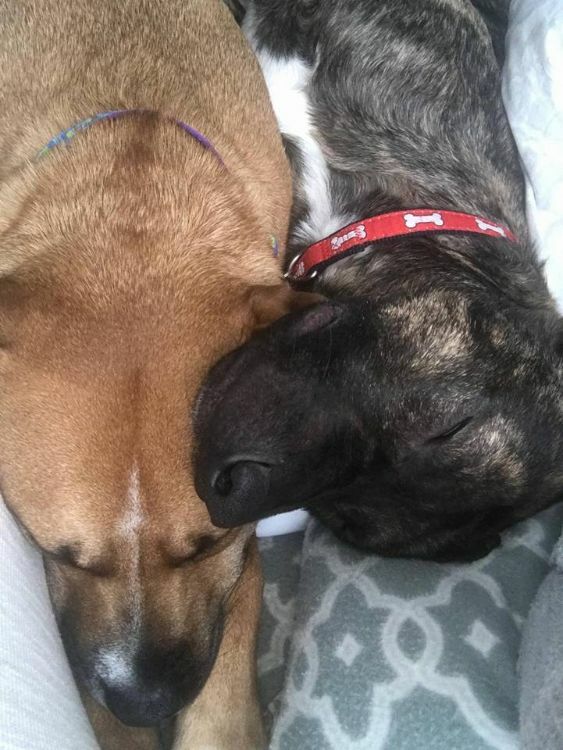 The foster's home was a far cry from the cold and uncaring home Blizzard was rescued from. 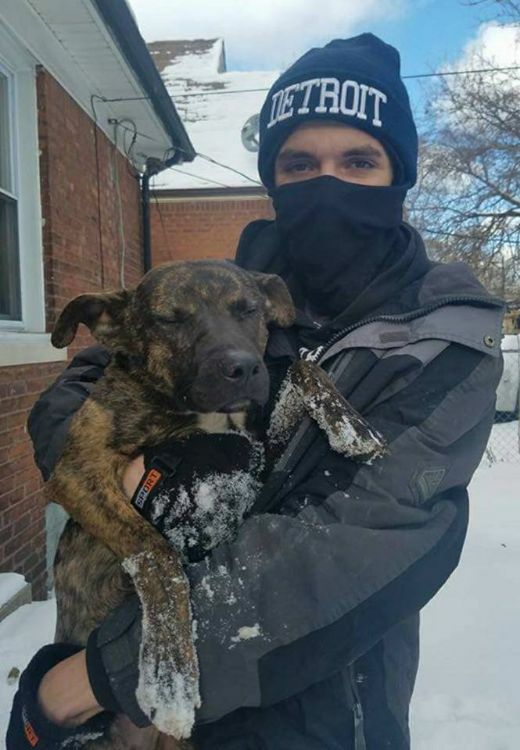 Recently, Detroit Pit Crew Dog Rescue announced some great news: Blizzard was adopted by a loving person who will make sure that this dog never goes without ever again. No longer will she be chained outside, freezing to death. Now, Blizzard has an owner who cares about her and treats her like a treasure. Congratulations on your new home, Blizzard. You deserve the best dog life ever.